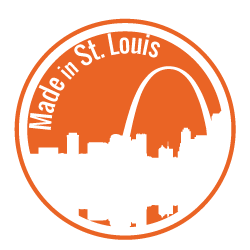 Every beautiful luxurious Aspen Spa and hot tub is made right here in St. Louis. 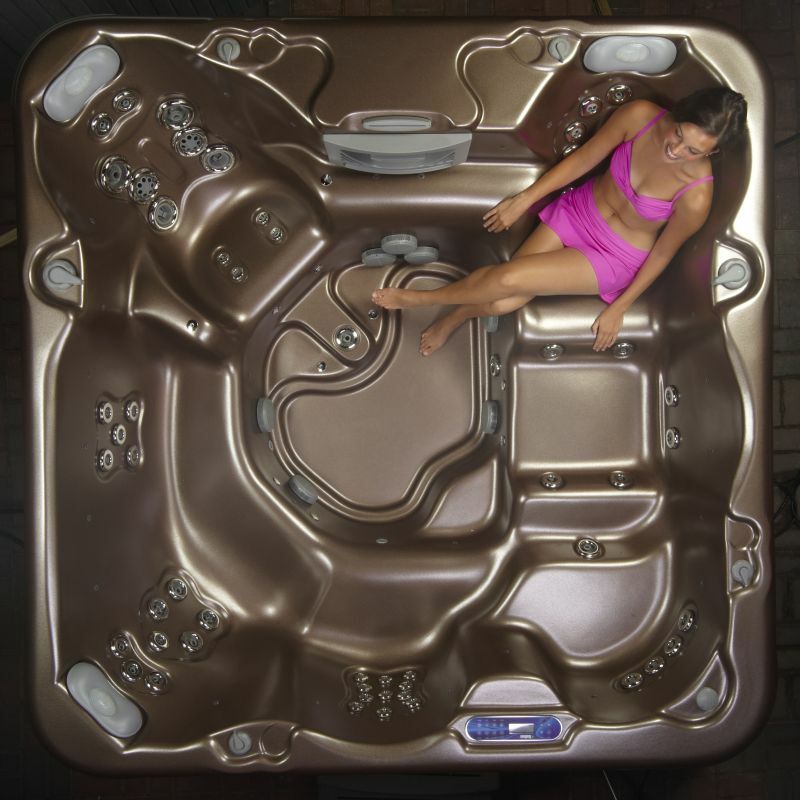 We select only the highest quality choice materials for each hot tub we build. 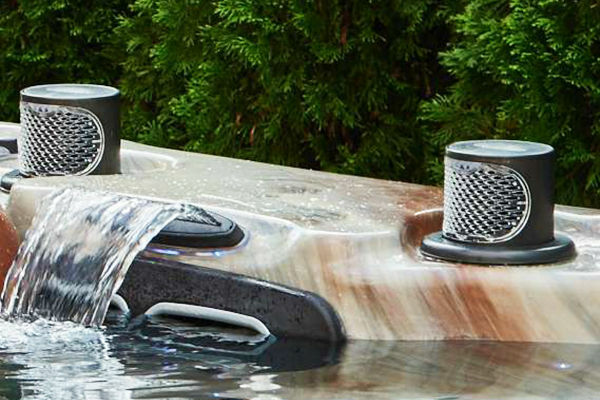 Choose from a variety of exclusive hot tub designs. Let the warm water caress your skin and relax away your cares. The rhythmic pulse of the hot tub jets sends you into a state of utter relaxation and the contours of our innovative seating support you in the lap of luxury. Best of all, your Aspen Spa’s incredible durability, efficiency, reliability and ease of maintenance will you keep your hot tub investment in your comfort zone for years to come. Learn more about our spas by reading below or visiting our main Aspen Spas website. Quality: the word that epitomizes the Aspen Spas brand and that we steadfastly adhere to in all we do. 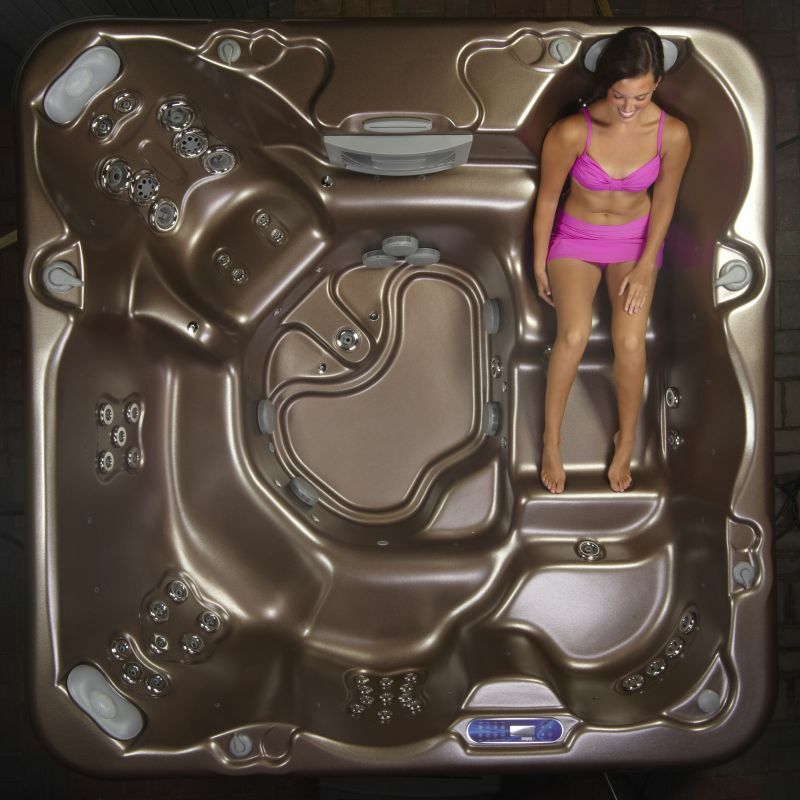 Specifically, our team of hot tub experts focus on quality in durability of our hot tubs. You can be sure your hot tub has efficient energy usage, reliability and performance of equipment and clean, clear water and filtration. 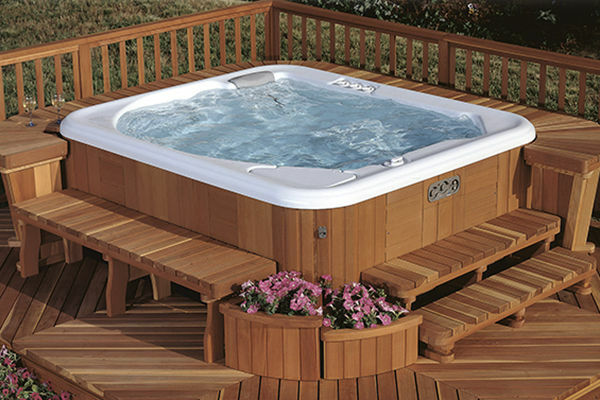 Our hot tubs are made for everyone to enjoy; with a variety of seating options to fit every body, as well as an array of upgrades, there’s no better hot tub on the market. We encourage you to read more about the incredible innovation and exceptional quality that are hallmarks of every Aspen Spa, coming straight to you from our master St. Louis builders. Because not every seat is for every body. 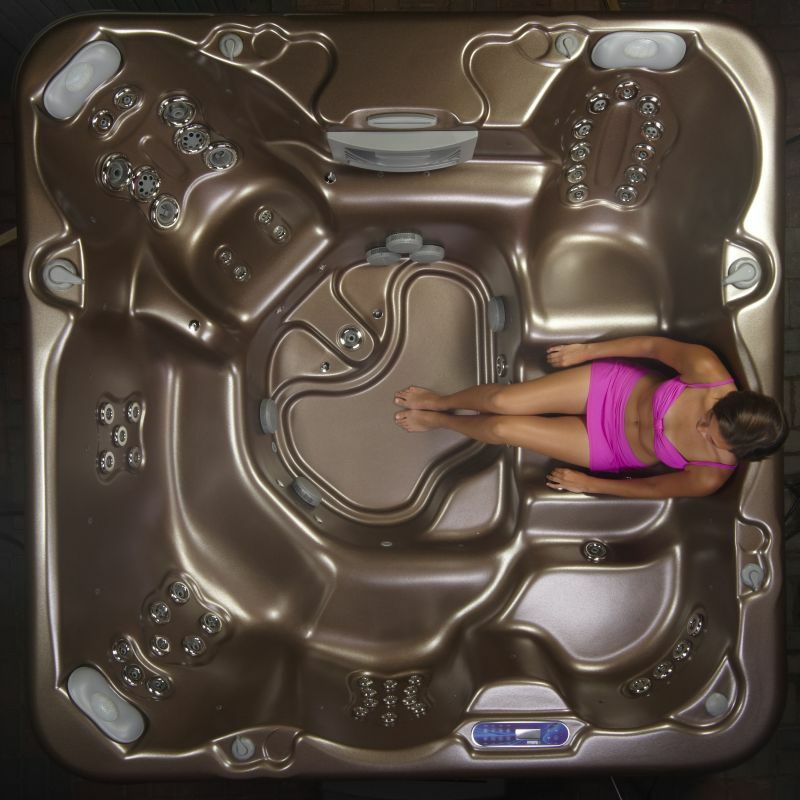 Every one of our eight spa models was made in St. Louis with the care and precision of a hot tub created just for you. Our exclusive designs enable everyone to find the perfect spot to relax; and because it’s important to acknowledge that not every seat can possibly be the ideal fit for every body, we provide a variety of seating options developed to specifically target certain areas, including the back, neck, calves and even wrists. Every type of seat in your Aspen features a different height and width, jet patterns and sizes, and, therefore, a distinct experience. And to top it all off, we provide easy-entry steps, an enormous footwell and the most efficient use of space. That’s total quality and innovation. Choose a hot tub that will last for years. 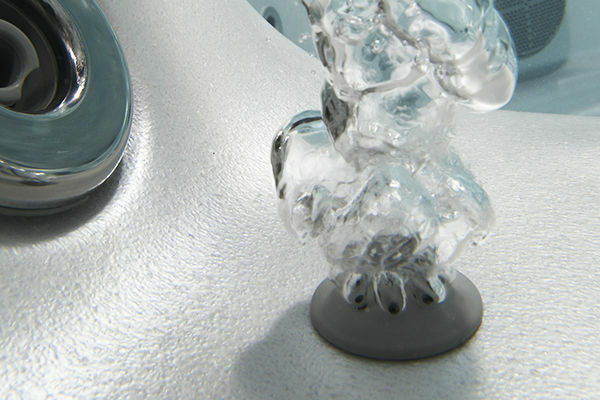 Aspen Spas are built to endure harsh environments – rain, snow, ice, cold, heat and humidity. Six-layer spa shell construction gives a superior finish and strength for years to come. And they’re made of the best materials on the market, including Lucite acrylic. Maintenance-free cabinets and an ABS spa bottom, both built out of recycled plastic, ensure years of beauty and integrity. We look forward to helping you find a hot tub that will last you for many years to come. 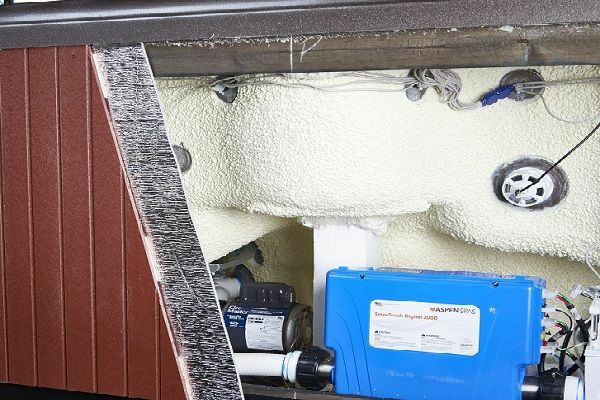 At Aspen Spas, we use the research and knowledge of our engineering team to help us address heat retention and energy efficiency at every level. The spa lip, where the cabinet and shell meet, is foamed-in, so heat cannot escape. 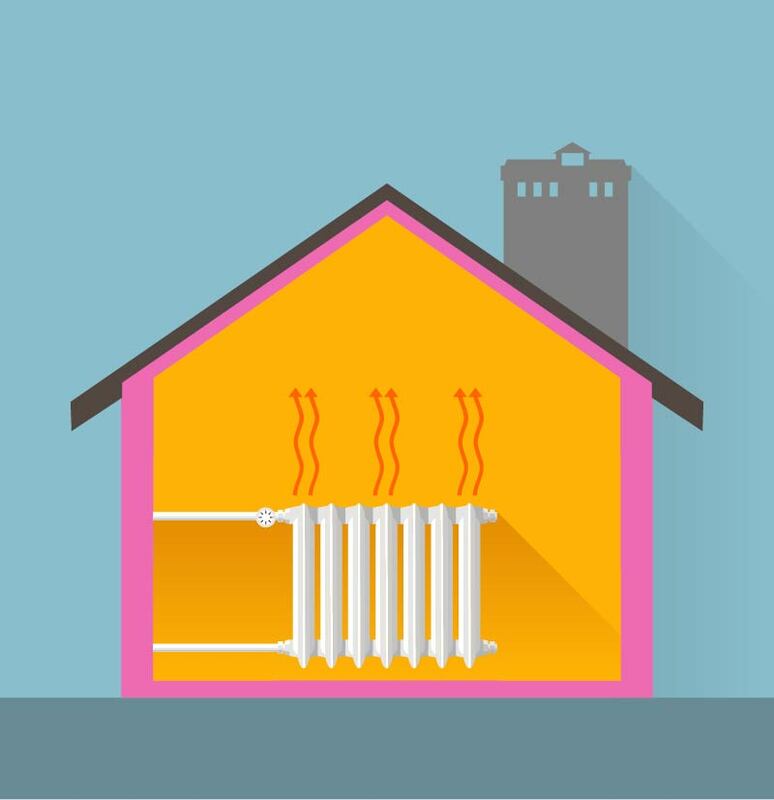 The ABS bottom pan is insulated to stop the cold from coming up underneath. 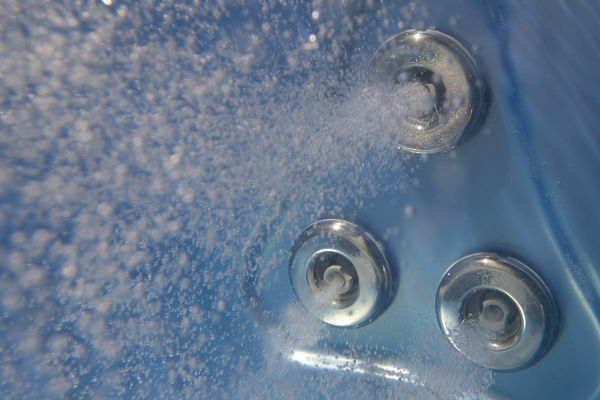 Reflectix, a combination of insulation and foil, is installed on the back of the doors and corners to reflect the heat back into the spa and insulate the spa cavity from the cold, creating a sealed spa cabinet. Every spa comes with a 4″ x 2″ hard cover, constructed with 1.5 lb closed-cell foam, which is wrapped in 5mm plastic to prevent water absorption. Just like your house requires insulation, your hot tub is built with nothing but the highest quality materials. Save money and energy by choosing an Aspen. *With a fully foamed hot tub using open-celled half-pound, there is very little insulating R-value and plumbing is totally inaccessible, thus impossible to work on. We use nothing but the best when building your spa. All Aspen Spas are built with premium equipment supplied by the leaders in the industry, to give you the most efficient and reliable, highest-performing hot tubs on the market. Gecko spa pumps are the most efficient pumps, which deliver unsurpassed power and performance. Programmable spa packs and controls by Gecko and ACC make using and controlling your spa simple and easy. CMP jets with EPDM rubber grommet gaskets provide a superior seal and are plumbed with schedule 40 semi-rigid shurgrip hose, delivering exceptional jet performance. You deserve clean, clear water in your hot tub. To keep your spa water clear and sparkling at a low-maintenance level, Aspen includes programmable or 24-hour circulation pumps, a sanitizing ozonator to provide an extra ion and stress-free Microban filters to prevent bacterial growth. You can finally relax, knowing your spa water and filter are bacteria-free and that the Aspen experts are dedicated to ensuring exceptional quality and regular maintenance. Want to learn more about the unrivaled quality and innovation that goes into the development of each hot tub? Visit our main Aspen Spas site to further explore what makes us an international favorite for relaxation. 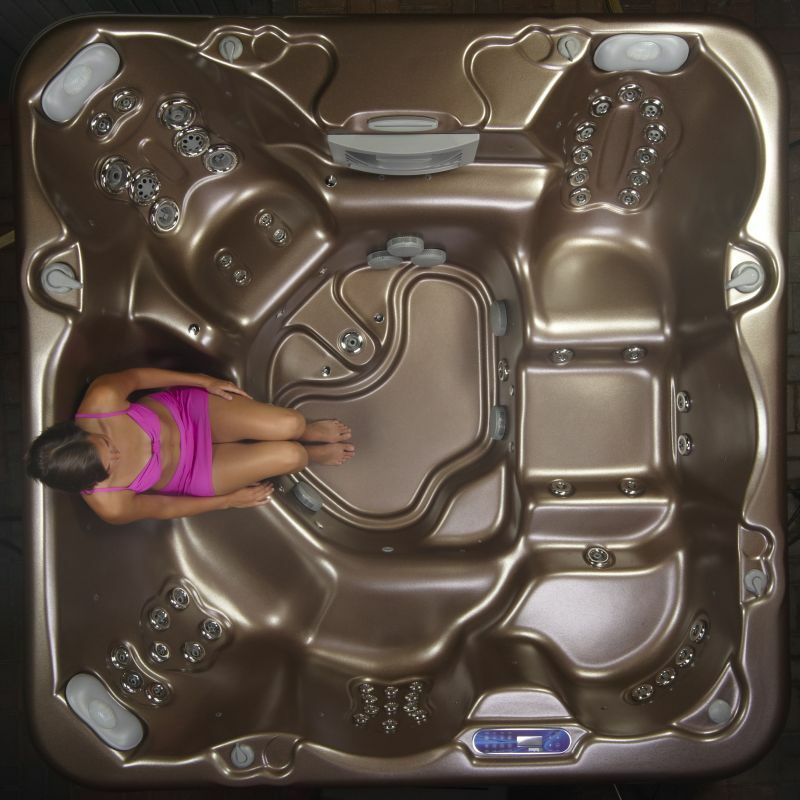 There are countless hot tub brands, each offering the promise of luxury and leisure, but none can provide the unique combination of benefits Aspen Spas features. Between our simplified buying process, variety of exclusive hot tub designs, array of customizations and accessories and undeniable therapeutic advantages, you’ll discover that Aspen Spas simply can’t be beat. With Aspen Spas, you’re not restricted to a one-size-fits-all hot tub. We understand that a spa is an investment, so we give you the opportunity to choose exactly what you want. 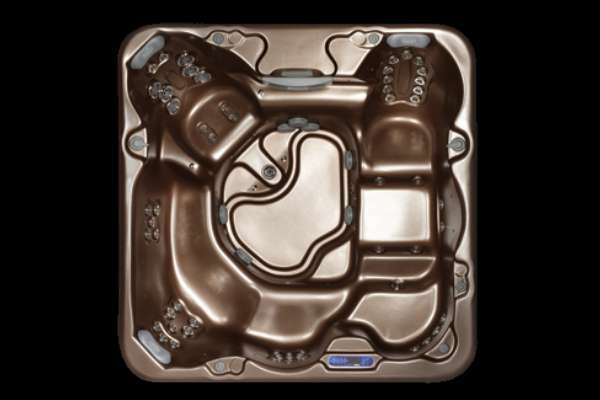 Our hot tubs come in eight models, with three series available in each, depending on your interests. And because we know that one seat cannot possibly be everything to every body, we offer exclusive seating options, including captain’s chairs, bench seats, loungers and open love seats, all surrounding an impressively huge foot well. More information about what makes an Aspen different can be found on our main website. Make your Aspen your own. 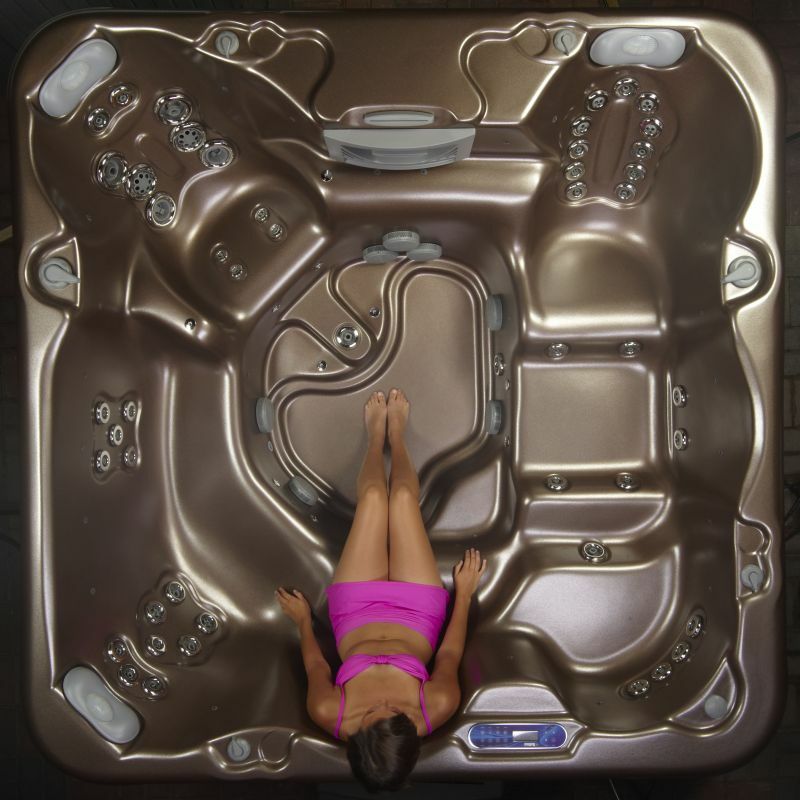 You deserve a hot tub that not only offers you the best in therapy and relaxation, you deserve one that will complement its surroundings, with our customization and accessories options. Includes eight stunning shell colors, four classic cabinet hues and three options for your spa’s cover. Learn more about your color options on our main website. And your list of accessories options is just as extensive. Learn more about our spa surrounds, cover lifts, steps and more from A&B Accessories. And for additional information about customizations and upgrades, visit our main Aspen Spas website. What size spa would you like? 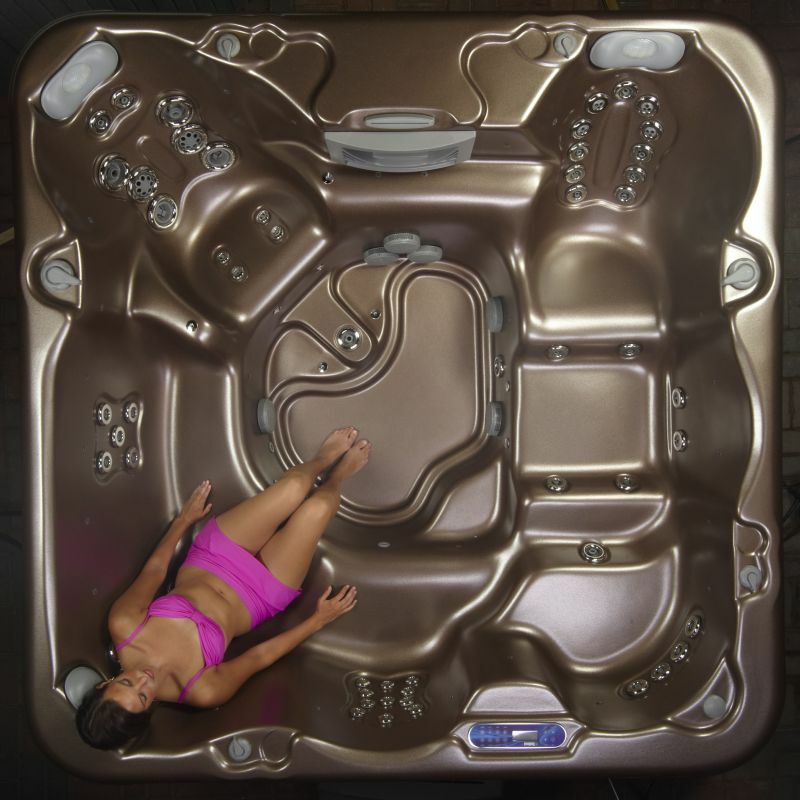 We have 8′, 7′ and small spas available. What type of seating are you looking for? Options include captain’s chairs, love seats, bench seats and no-float loungers. What spa series are you interested in? 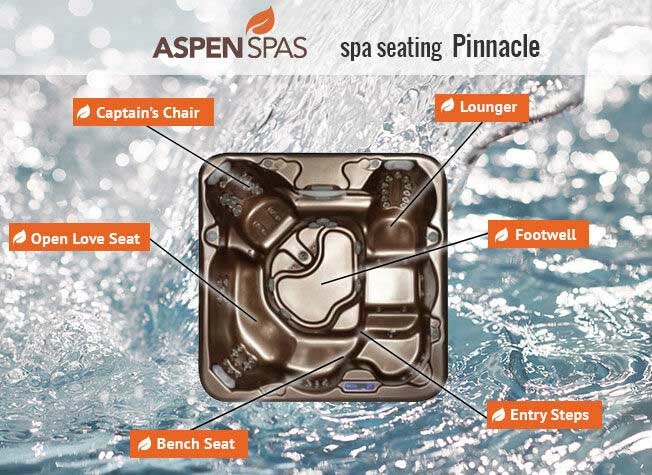 Aspen Spas come in three series, ES, GS and VS, and your choice depends on which amenities you seek. How would you like to customize your Aspen? Popular customizations include Bluetooth speakers, chromatherapy upgrades and more. 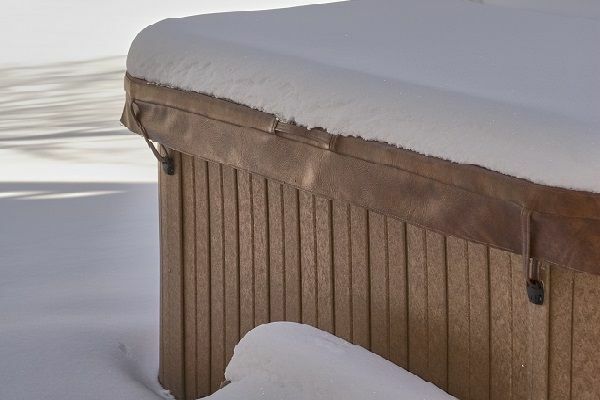 We encourage you to Discover Your Aspen on our main website to get started on finding the perfect hot tub for your home, lifestyle and family. Surrounded by the heat of the water, like a warm embrace, your blood vessels begin to open up, improving circulation and lowering blood pressure. The warmth of the water soothes angry muscles and allows the body to release healing endorphins. The buoyancy of the water also eases pain, as your body weighs about 90% less than on dry land. 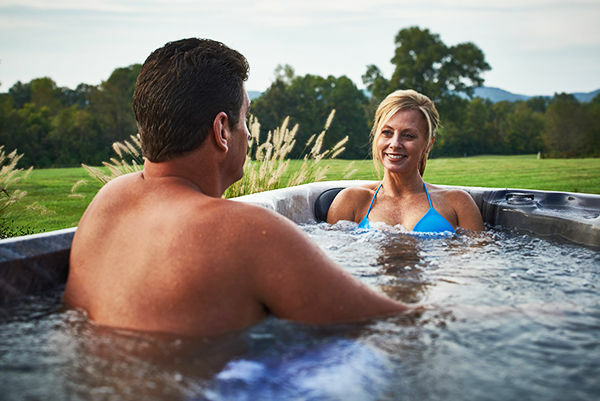 Your hot tub will help you reduce pressure on joints and muscles, letting you stretch and exercise with ease. Whether you have chronic back pain, arthritis, lead an active lifestyle, or simply want to relieve stress and tension in your body, there is an Aspen Spa for you. A relaxed body helps to ease an exhausted mind, so a soak in a hot tub has the power to relieve anxiety and alleviate stress. From the gentle sounds of bubbling water to the pounding massage of the jets, a hot tub makes the heart work harder, undoing the damage of stress on your psyche. You’ll emerge from the hot tub with a renewed sense of calm, enhanced by Aspen Spas’ collection of Total Therapies, including chromatherapy, aromatherapy, thermotherapy and more. Your tension will dissolve after a dip in the hot tub, and you’ll likely wake up totally refreshed and relaxed. Visit our full Aspen Spas website for more information about the wide array of sizes and styles of premium-quality, therapeutic spas, and hot tubs. Explore how owning a hot tub can enhance and enrich your life in mind, body and spirit. 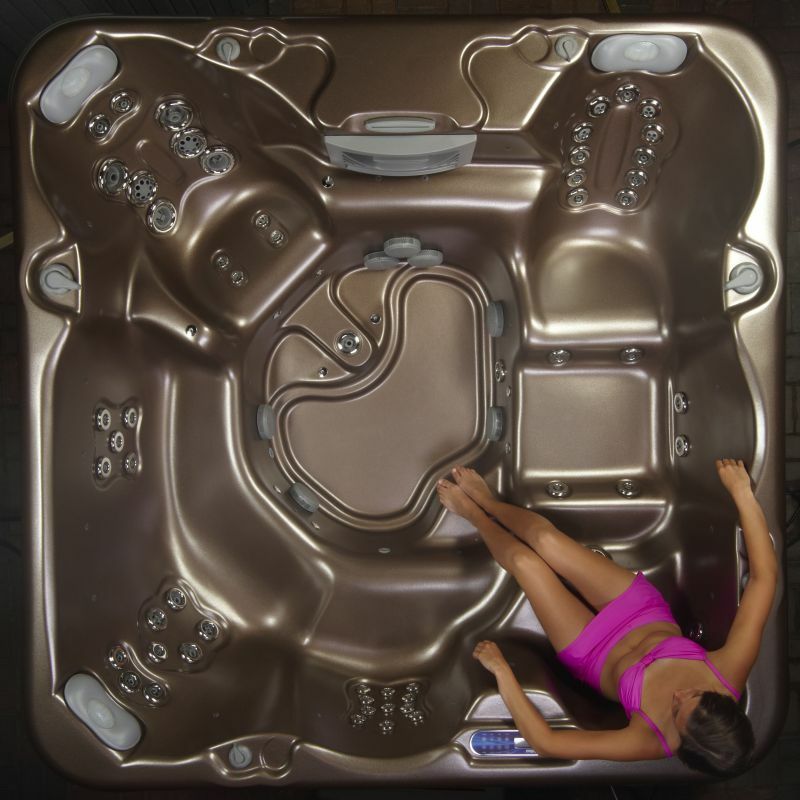 You’ll also learn about our different spa and hot tub models and series, as well as customization options. 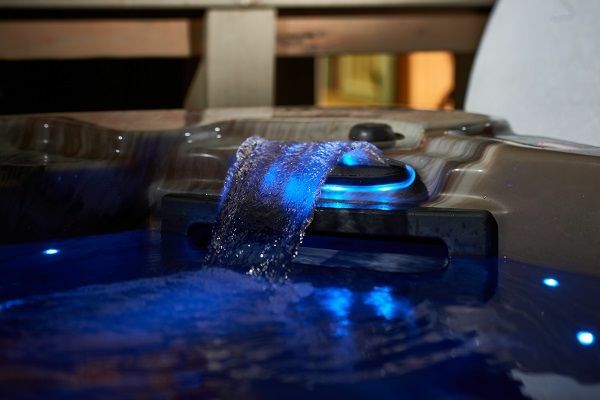 You can contact us online or call our St. Louis hot tub dealers today at (314) 328-6008 with any questions or simply to learn more about Aspen Spas. Our team is eager to help you find the perfect hot tub.